I have a few questions about the Broad Street Line. If anyone could answer these in some sort of way I would appreciate it. *Before Oregon and Pattison stations were constructed Snyder was the southern terminus. Are there any pictures of Snyder as the terminus? Also how were trains run during that time, like did they stop and change ends to head north or what? *Any pictures of construction from Snyder to Pattison? *Are there any plans to replace the B-IVs? *How is cab signalling on the BSL? *I've also recently saw a BSL car with no orange stripe why is this? sorry if that is too much. I just want to know more about the BSL because it seems like a minor topic on the internet. I like trains and operations mainly on the east coast but also all over the U.S. and the world! I only know what is open to the public nothing more. NortheastTrainMan wrote: I have a few questions about the Broad Street Line. If anyone could answer these in some sort of way I would appreciate it. I don't have any pics of Snyder, but the current express service predominately was peak hours because 2 and 3 tracks between Erie and Olney wasn't built yet. The Bridge trains ran to Girard mostly with several peak trains running on the locals to Erie then using the yard above Erie to turn. All southbound trains simply changed ends. There is 4 scheduled around 4.30 in the morning; one all the way to Pattison, one on the express tracks to Walnut-Locust and quickly turns to make the first pickup at City Hall, one on the SB local to City Hall, and one at the Rock - all leave at 5.00. Other than that, they don't deadhead unless a set has to be taken out. Not in the near future. You'll see the K-car replacements first. The Broad Street Subway and Broad-Ridge Spur is not cab signalled. Car 666 was part of the "Trash and Cash" train but was rehabbed since the system needed seats. Not to derail the thread but 666 is still assigned to the Cash N Trash train, even while doing passenger duties. septadude wrote: Not to derail the thread but 666 is still assigned to the Cash N Trash train, even while doing passenger duties. The derail has been removed, no worries. Anyways, one of the 5xx series cars was assigned to the Cash-N-Trash train as of last week. I think it's just whatever the yardmaster has available at any given time. A simple stop, take out the handles, walk to the other end, do a brake test and they were ready to go north. The procedure hasn't changed much over the years. There are photos in the city's archives but they have not been digitized yet. Every deadhead/training move I have seen runs with the lights off. I usually see two or three a week since I ride the BSL at times of the day and night. Modeling "America's Largest Anthracite Carrier" and "Industry's Freight Route" in 1953. Location: Following WPCA-51 along the Beesley's Pt. Sec. Trk. Also what type of horn is used on the B-IVs it sounds like a cross between a Leslie S3L and a Wabco AA-2. They're Wabco AA-2s. I realized this one day while working at Fern Rock and heard a horn, thinking it was a Subway train rounding the curve from the yard. Turned out to be a set of Silverliner IIs running through in the back. The difference is that the B-IV horns spend a lot of time underground and are tucked behind the coupler so they are in much better condition than those found on the Silverliner II/IIIs generally. 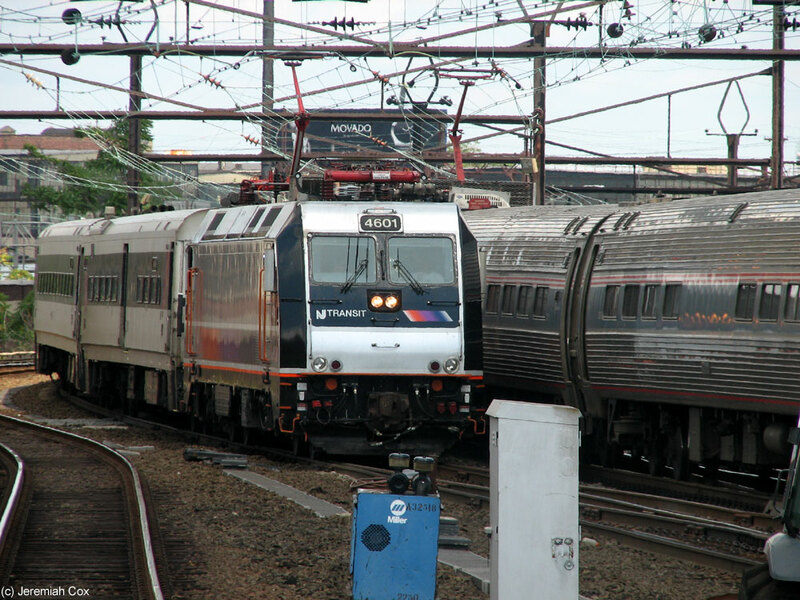 Not to mention that if the Silverliner copies are the originals delivered on the cars they're a good 20 years older. Hearing them outside at Fern Rock makes it much easier to hear the tell-tale AA-2 sound. The tunnel really changes the sound. How is the BSL signalled? I've seen that from at least from Ellsworth-Federal to Snyder the Southbound track has Bi-Directional Signalling. Are there plans to install cab signalling on the BSL? It seems very odd for a subway line as complex as the BSL not to have cab signalling. Are there photos or track maps of the interlockings and flying junctions at various points on the BSL? Have there been fatalities on the BSL? Have there been accidents on the BSL? Also what happens if a BSL train runs a red signal? Is there a trip arm similar to that of NYCTA's subways? NortheastTrainMan wrote: Also what happens if a BSL train runs a red signal? Is there a trip arm similar to that of NYCTA's subways? The BSL may look complex but it really isn't. Fern Rock is the most complex part of the subway and has the most movements. RDG-LNE wrote: The BSL may look complex but it really isn't. Fern Rock is the most complex part of the subway and has the most movements. I disagree with you on that one. Yes Fern Rock perhaps may have the most movements on the BSL. But the BSL has decent has a decent express train length. Multiple bi-level underground stations also with flying junctions. Also the BSL has the Broad-Ridge Spur which is a spur from the mainline. Also there are many sidings/stub end tracks on the BSL. When you think of it it's the most complex subway line in Philly. So I don't understand why a subway line this complex wouldn't have cab signalling? Is there even CTC Signalling? NortheastTrainMan wrote: Is there even CTC Signalling? If you do a search of this forum there was a thread about 2 years ago that I originated when I was seeking information to do a Train Dispatcher simulation of the BSL. In this thread someone posted a track map. It may have answers to some of your other questions. So I'm guessing that there haven't been any fatalities in the BSL?